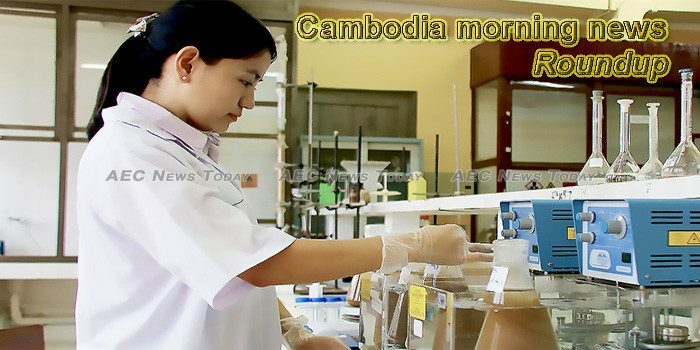 Cambodia is scheduled to hold the third election for 4,114 municipal, provincial and district councilors on May 26, the National Election Committee (NEC) said on Saturday. Golden bones” is the term native Cambodians use to describe one who is blessed. A long-awaited direct flight between Cambodia and Indonesia is expected in the second half of this year after nearly half-a-century hiatus, Cambodian Tourism Minister Thong Khon said on Friday. Sarawak Patriot Association (SPA) says it has received pleas of assistance from the parents of some Sarawakians, who are currently being held without trial in Cambodia. The Health Ministry today issued guidelines on how people can prevent illnesses during the extremely hot weather caused by the El Nino phenomenon. In recent weeks, Sam Rainsy, a Khmer convict holding a second foreign nationality, has repeatedly called for the international community to question the legitimacy of the Royal Government of Cambodia, and for the Cambodian armed forces and people to revolt against this Government which was democratically and overwhelmingly elected by the voters, the ministry of foreign affairs wrote in its press release dated Saturday. Prime Minister Hun Sen wrote on Facebook Friday that Cambodian People’s Party (CPP) guaranteed no more wars on Cambodian territory. Preah Sihanouk provincial police and relevant authorities released a first census on foreign residents on Thursday, which showed that foreigners in the province had shown a strong increase in recent years. As the government yesterday slammed a report by Freedom House for rating the Kingdom as not free, vice president of the Cambodian Human Rights Committee Chin Malin sat down with Khmer Times during a Cross-Talk interview to defend the country’s human rights track record. The Cambodian People’s Party (CPP) issued a statement dated Friday to denounce the fake “CPP statement” distributed by opposition leader Sam Rainsy aimed at disuniting CPP, creating social chaos, and destroying the process of national development. Cambodia will hold the third election for 4,114 municipal, provincial and district councilors on May 26. The Ministry of National Defense will host the 14th Cambodian-Thai General Border Committee Meeting (GBC) at Garden City Hotel, Phnom Penh, from 13-14 February 2019, according to a press release dated Friday. Infrastructure Technical Working Group Meeting and Regional Integration (IRIWG) was held here yesterday to foster infrastructure development through effective use of resources, coordination and information sharing, to reduce poverty and enhance people’s living standard. Rattanakiri royal gendarmerie commander Kim Raksmey was eliminated from the Royal Cambodian Armed Forces, according to the royal decree dated Saturday. Battambang provincial Cambodian Mine Action Centre (CMAC) officials on Thursday destroyed 39 units of unexploded ordnance (UXO) after local farmers discovered them on Wednesday while cultivating a rice field in Prey Totoeng village in Kors Kralor district’s Chhnal Mann commune. The list of names is expected to be cut down to 23, but as of now, the hosts of the tournament seem to have a strong squad in place for the tournament. Villagers in Battambang province on Wednesday found nearly 40 unexploded ordnances left over from war while they were clearing land in Kors Kralor district’s Chhnal Moan commune. Kong Korm, the former acting president of the defunct Sam Rainsy Party, on Wednesday dismissed his one-time opposition ally’s announcement that his planned return this year will lead to a rebellion and the arrest of Prime Minister Hun Sen.